As far as I know, we have been fighting this war for decades now. We have arrested so many of them and caged them for life at various locations where many of them died of hunger and diseases. We have also sterilized them with the hope of wiping out their generations and we have even poisoned many of them to death. Yet this war is never coming to an end. What makes the matter even worse is that now the government seems to be giving up and retreating from the battlefields. Having said that, please don’t panic. I am not talking about any physical warfare or political revolution here. I am really concerned about the rising number of stray dogs especially in our urban centers. In Thimphu alone, you would notice that the number of stray dogs loitering in the town and the surrounding areas has increased significantly over the years. Today, every nook and corner of the town is infested with those ferocious monsters that constantly threaten the safety of the general public. Whenever you pass through a new area, the first thing you are required to do is to look around for any dog in the vicinity. You have to be worried all the time about your own safety and that of their children. The worst thing is that the stray dogs have started living in groups and have their own self-declared designated territories. Just one bark from a member is enough to summon all other members to launch the attack on anybody their eyes fall on, be it a dog from another territory or a human being. We often hear about people being attacked and wounded by dogs, yet the government has not been able to come up with effective solutions to the problem. People say that dogs are man’s best friends because of their innate ability to understand the emotions and feelings of their owners. But I have also realized that those dogs without owners can become our worst enemies. Despite the constant efforts of the Royal Government of Bhutan to control the stray dog population, the number seems to keep increasing. I am just wondering how they manage to survive with nobody to feed them regularly. As Buddhist nation, we must love them and we do love them. But when they pose danger to our safety, definitely we must do something to negotiate with them peacefully. Killing them is certainly not a good option since it contradicts with our religious values. So what else can we do to peacefully solve this problem for the good of the entire society? The nation-wide sterilization program has not been effective and I don’t know why. I wish if all the dogs had their owners to take care of them all the time. 1. Always call a dog by any name: Tiger, Sintu, Bongtu, Blackie and so on immediately after you see one on your way. The dog doesn’t know his name and whichever name you call out, he/she would feel familiar with you and start wagging its tail. This should be done even before the dog begins barking at you because by the time it comes forward barking at you, you would panic and cannot convince the dog that you know him/her. I call out the name ‘Tiger’ even when the dog is asleep on the road because you won’t know how fast they can wake up and ambush you. 2. Never panic when a dog barks at you. Just try sitting down as though you are picking up a stone. Usually the dog hesitates to plunge forward if you sit still. And don’t make strange noises/sounds to drive them away. Instead keep calling them by any name. 3. The most important thing is that you should never try to run away. The more you run, the more confident the dog becomes to attack you. 4. The easiest thing is to carry some eatables so that when a dog chases you, you can throw a piece of it at the dog. This might help the dog change its mind. 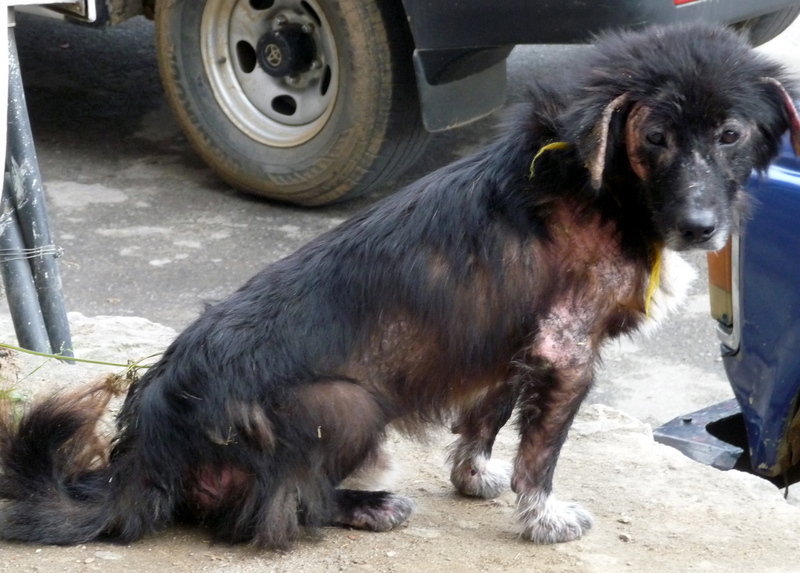 The over growing stray dogs in Bhutan is one of the growing problems. My school has good number of stray dogs creating problems now and then. It is high time for us to act on this matter. the 'elite' Bhutanese should pet these dogs instead of importing pets. these dogs will be as cute with love and care, and should learn tricks as well.